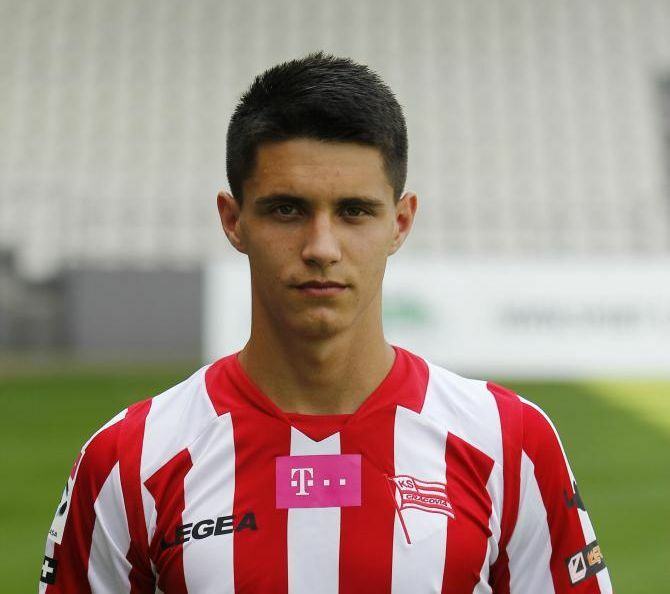 Bartosz Kapustka joined MKS Cracovia youth academy in 2012 at the age of 15. He made his professional debut during 13/14 season on 29 March 2014 in a league fixture against Widzew Lodz, in which he replaced Krzysztof Danielewicz at half-time. Thanks to this he became one of the youngest Cracovia players to debut in Ekstraklasa – the top of the Polish football league system. Few months later he scored his first goal in a Polish Cup game against Ostrovia 1909 Ostrow. He is gradually becoming more and more important for coach Robert Podolinski as he has appeared in Cracovia five of their last six matches. Bartlomiej has represented the U-17 and U-18 Poland national youth football teams and currently he is a member and a central figure of U-19 team.